Introducing my second season lookbook for Roots and Feathers. This one includes a few pieces that are already in the shop along with some ones held back just for this lookbook. 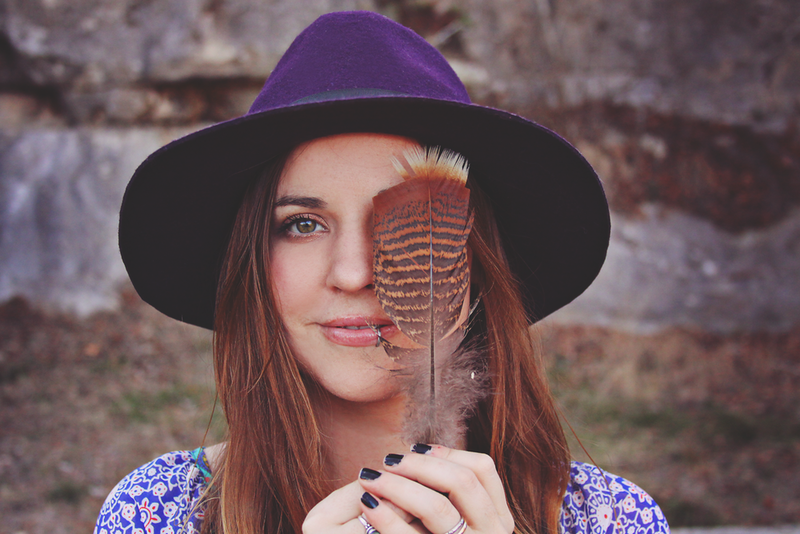 I have styled it to show several different ideas of how to style your Roots and Feathers accessories. In the first set of images Im wearing my blue velvet dress from Red Velvet, my new favorite garment hanging in my closet. There are several other new pieces that will be added to the shop throughout the week, but for now, everything included in this lookbook will be in the shop. I suggest clicking on the button that says EXPAND to view the lookbook larger. Also, I really wanted to loop this Neil Young song to the lookbook but couldnt, so I encourage you to click play as you view it. The giveaway is for YOUR CHOICE of one of these rings above. They are both vintage acrylic marbled cab rings. To enter leave a comment below telling me which look in the lookbook is your favorite. Since they are not named, you can just describe it. And if you want, tell me your favorite new item. This giveaway will go through the end of the month, and will be announced at the beginning of next month.